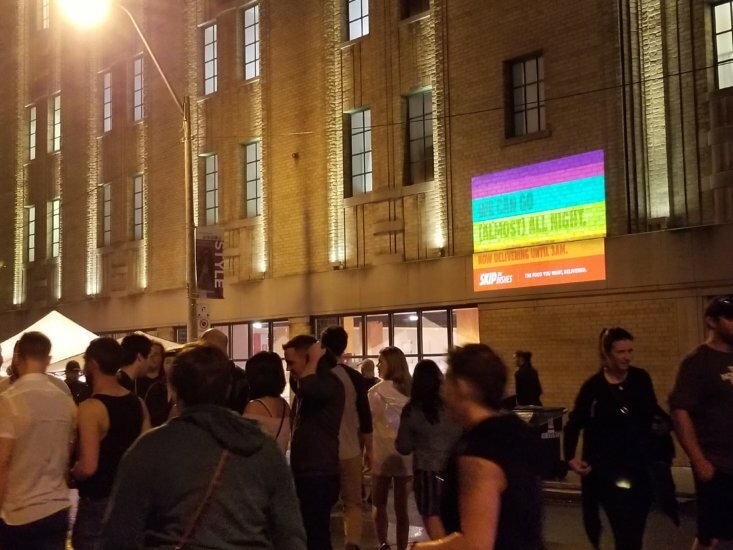 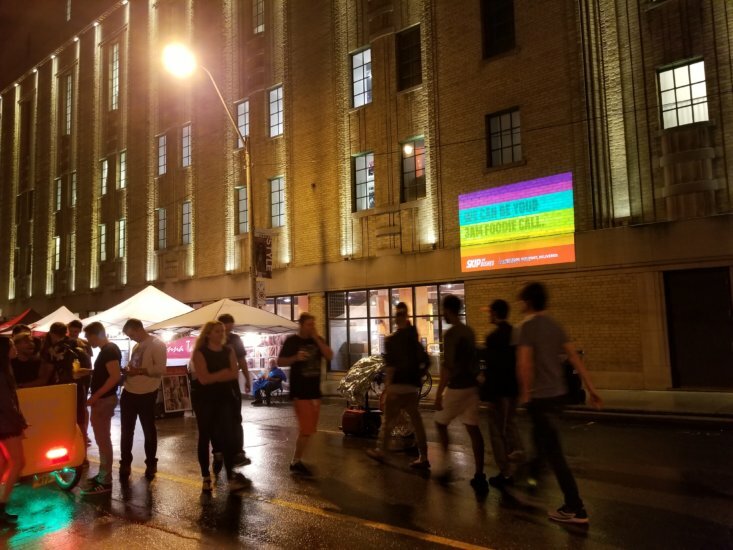 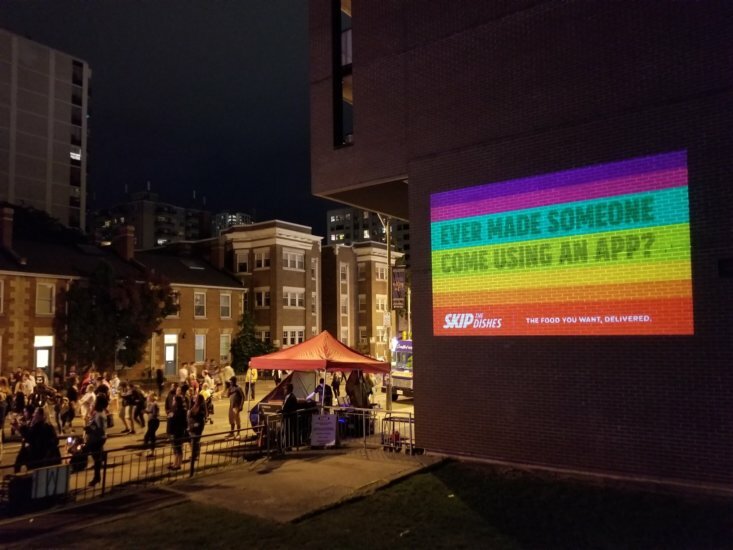 Tactic: Skip The Dishes utilized the Digital Ad Truck and Video Wall Projections during the 2018 Pride week in Toronto. 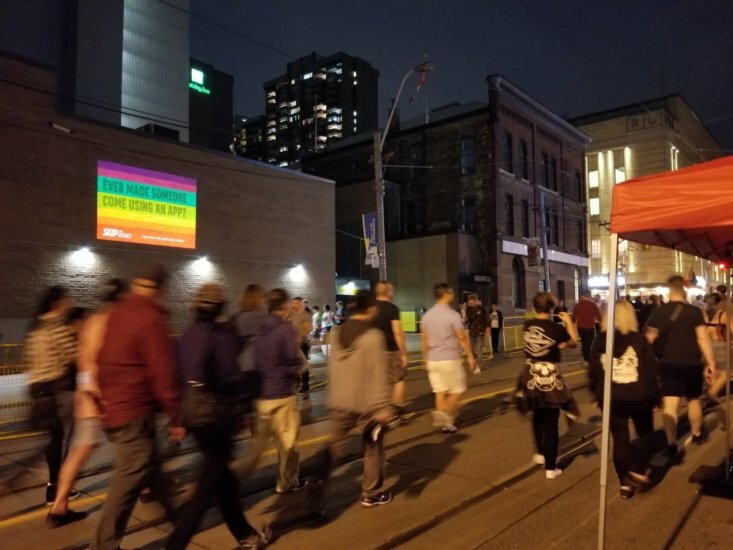 On the weekend leading up to the parade on June 24th Skip The Dishes ran guerilla Video Wall Projections to reach the 1000’s of visitors to the events taking place on Church St the epicenter of the gay village and the Pride festivities. 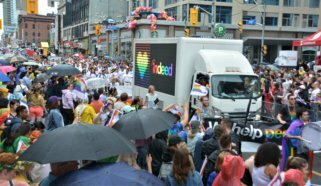 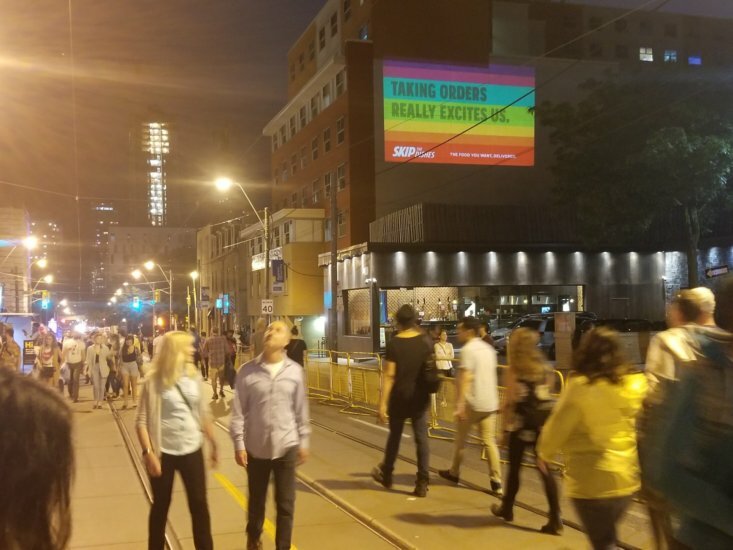 Skip The Dishes also utilized Digital Ad Truck that canvassed barricaded areas of the Pride Festival area with the three large LED screens playing the brand’s messages targeted towards the Pride festival visitors.